WINCHESTER — Crissy Willis hears a common refrain from curious patrons of her Old Town burrito bar: Why the Mexican food? The answer is simple: It’s in her blood. 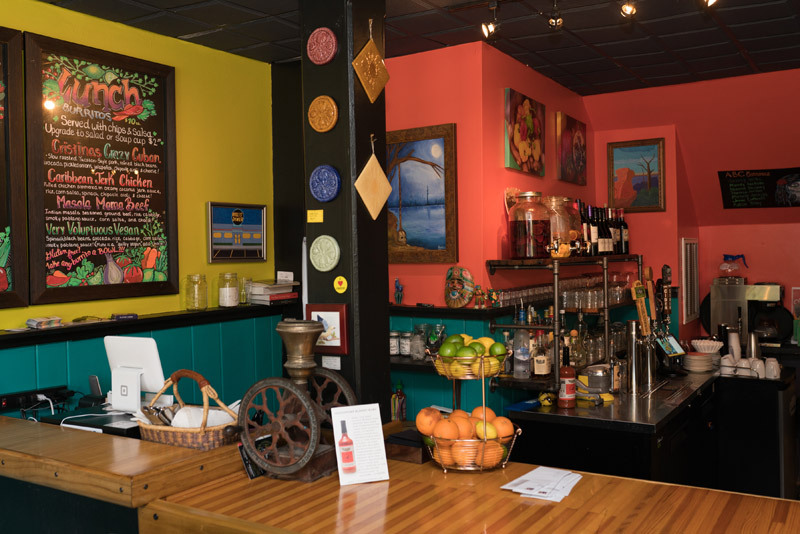 Willis opened Sexi-Mexi Burrito Bar at 21 E. Boscawen St. last November and, until recently, also ran Cristina’s Café on King Street in Strasburg. “I’m the third generation of strong-willed women to own a restaurant in Strasburg,” she said. Now, having sold the business to Brandon and Kaitlyn Belland, who also run Cordial Coffee in Berryville and in Marshall, she’s excited to focus more attention on the new burrito bar. “I put 10 years of my life into that business,” she said. The 35-year-old mother of three lives on a farm in Fort Valley and gets her Mexican influence from her late grandmother, Florencia Cristina Valverde. Willis’ mother, Donna Cristina Johns, and grandmother both ran Mexican restaurants in Strasburg, before she and her sister, Wendy Cristina Willis, opened Cristina’s Café in its present location at 219 W. King St.
Cristina’s Café features sandwiches and salads with a Mexican flair, but Willis said the burrito bar is different, focusing on fast, casual food that goes beyond the expected. At Sexi-Mexi, she said, “Our most famous burrito is The Cuban.” It features pulled pork from Willis’ farm and other “pickled things,” an idea she said builds on the classic Cuban sandwich of ham, roasted pork, Swiss cheese, pickles and mustard. “That’s our flagship item,” she said. But like everything else at Sexi-Mexi, the Cuban burrito takes on a decidedly “sexi” twist. Cristina’s Crazy Cuban burrito is packed with pulled pork, black beans, jalapenos, pickled onions avocado, cheese and chipotle aioli. 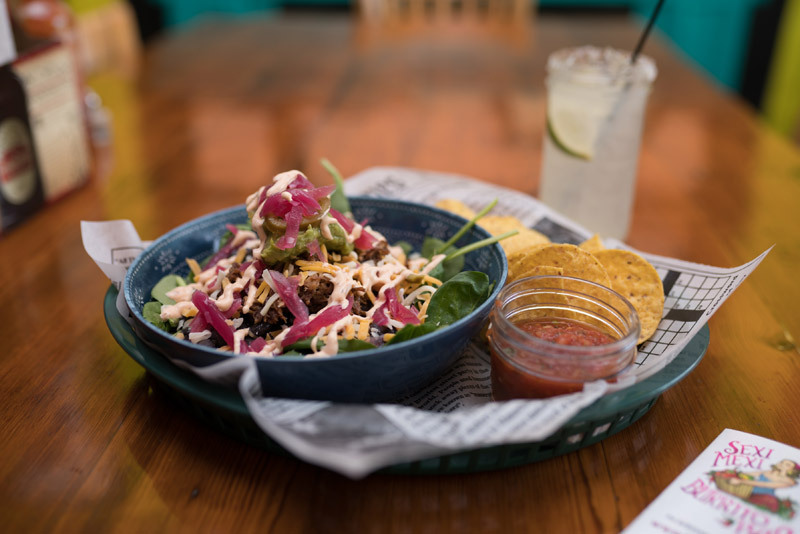 Sexi-Mexi is “high-quality food that’s not pretentious, not elitist,” Willis said. 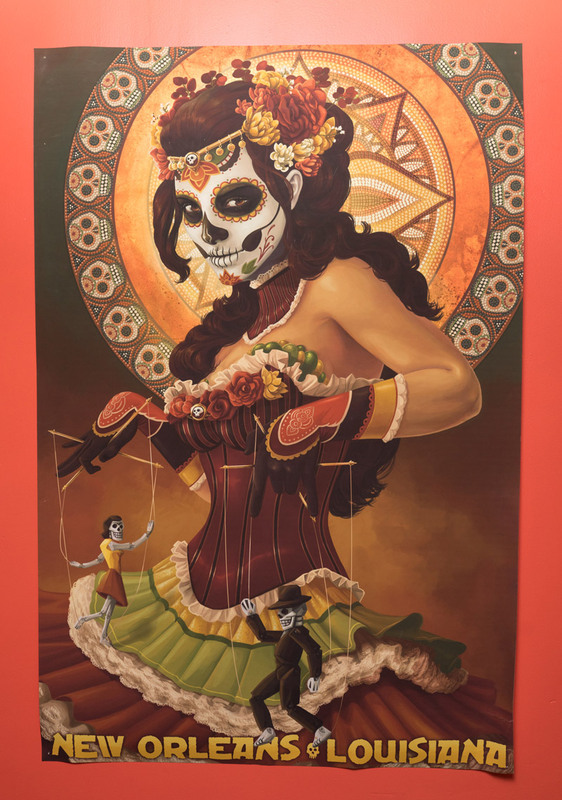 Willis grew up on her grandmother’s Mexican food and credits that experience to influencing her interest in first running a café, then a Mexican food truck and then a burrito bar — all infused with Mexican cuisine. “It’s like comfort food for me,” she said. But she also stressed that Sexi-Mexi doesn’t sell Mexican food. It’s fast, casual food with not just Mexican flavor but also Peruvian, Indian, South American and Thai influences. The menu is simple, which was part of Willis’ goal for the eatery: Offering a small menu and doing it really well. Plus, she said, you can order all four breakfast burritos or lunch burritos all day — something she said customers seemed to want. Breakfast burritos are $8 and feature a base of eggs with cheese and a side of fruit. Diners can choose from the Mexican Mama, which includes local chorizo (Mexican sausage), red peppers, onions and chipotle aioli; The Veggie Thing with black beans, spinach, poblano sauce and cherry tomatoes; The Dude Ranch with local sausage, peppers, onions and poblano sauce; or Crissy’s Favorite with crispy bacon, white cheddar, pesto, cherry tomatoes and chipotle aioli. Lunch burritos are $10 and come with chips and salsa or a $2 upgrade to soup or baby greens. In addition to Cristina’s Crazy Cuban, customers can order the Masala Mama Beef with Indian masala ground beef, rice, cabbage, poblano sauce, cheese and corn salsa; the Caribbean Jerk Chicken with coconut jerk chicken, rice, spinach, corn salsa, chipotle aioli and cheese; or the Very Voluptuous Vegan with black beans, avocado, spinach, cabbage, corn salsa, poblano and rice. The Very Voluptuous Vegan can be made “guilty” by adding cheese, and for gluten-free customers all burritos can be made into a burrito bowl instead. Sexi snacks at the burrito bar feature a Baby Greens Salad for $6 or $8, and the Super Dank Nachos, which are $8 for vegetarian, or $10 with meat. Cocktails at the bar include the “sexi standards” like My Abuela’s Margarita with lime, sugar, Jose Cuervo and orange; Baby Daddy’s Magic Water with new Amsterdam gin, seltzer and an orange slice; and Castro’s Revenge with Bacardi, lime, mint and sugar. The bar also serves up “daytime drinking delights” like mimosas and a Smokin’ Bloody Maria, as well as “sexi latin wine,” draft beer and canned or bottled beer. Sexi-Mexi burrito bar grew from the popularity of Willis’ food truck, which she started bringing around to area festivals and businesses seven years ago. “The Sexi-Mexi food truck had this appeal,” she said. Despite opening the burrito bar and selling Cristina’s Café, Willis has no intention of retiring the food truck, recently rolling it out for the Spring Market in Berryville, as well as serving lunch at Winchester businesses Navy Federal Credit Union and Winchester Brew Works. Each June, she also brings the truck to Old Town Winchester’s Hop Blossom Craft Beer Festival. The food truck cooks up $11 burritos, and customers will also enjoy some of their “sexi” favorites along with a few additions, like the Black Bean Mamma, the Curried Talapia and the Moroccan Beef. There are kids’ quesadillas for $5 and, for breakfast, an assortment of homemade pastries; $9 breakfast burritos; and the Hangover Parfait with layers of biscuits, gravy and scrambled eggs. Willis tries to use local ingredients whenever she can, including the Cordial Coffee’s Nitro Cold Brew, Route 11 Potato Chips manufactured in Mount Jackson, and a non-alcoholic fermented Kombucha tea from Shepherdstown. She orders meat from Ayrshire Farm in Upperville, which she said practices an ethical, holistic farming process called biodynamic agriculture. She also slaughters her own meat for pork and Mexican sausage (chorizo) from her farm, Cerdonia, which comes from the Spanish word for pig — cerdo. “It’s like Empire of the Pigs,” she said. Being in downtown Winchester has helped Willis tap into a market different from what she experienced in the smaller, albeit successful, market of downtown Strasburg. Though she doesn’t have any immediate plans for expansion, she said that once she irons out any kinks in running the burrito bar, she would be open to searching out locations in cities like Harrisonburg or Charlottesville. She said the burrito bar is especially suited to replication because of its modest menu and business model that can be easily streamlined. But that’s not to say Willis isn’t cautious about expanding. Not all businesses last in downtown, she said. Among other factors, a restaurant’s success can depend on its product and its service to the community. Her location on Boscawen Street formerly housed pastry shop Bake and had a full kitchen that Willis said was good to go when she moved in. But she also made strategic changes to suit the style of the burrito bar she wanted. She painted the walls with lively colors like teal, yellow and blood orange. Her stepfather built the bar from bowling alley flooring. And they added various options for seating, from square and rectangle tables to taller, round bistro tables. “I wanted to spice this place up,” she said. And, so far, she’s found success. Sexi-Mexi is located at 21 E. Boscawen St., Winchester. It’s open from 10 a.m. to 8 p.m. Monday through Friday, 3 to 8 p.m. for happy hour Monday through Friday, and 9 a.m. to 3 p.m. Saturdays. Contact Sexi-Mexi at 540-773-8521 or visit www.sexi-mexi.com. Cristina’s Café is at 219 W. King St., Strasburg. Call 540-465-2311 or visit www.cristinascafe.net. Cordial Coffee is at 8 S. Church St., Berryville, and at 8375 W. Main St., Marshall. Call 540-277-2156 or visit www.cordialcoffee.com.